"We thought we had the answers, it was the questions we had wrong." from weather reports to sporting events, from the entertainment we consume to brands that engage in the public and private sectors. To succeed in nearly any endeavor, a deep understanding of public opinion, the people and values that drive it is critical for success. which is why we go far beyond traditional polling methods that often provide charts, graphs and headlines with little insight. 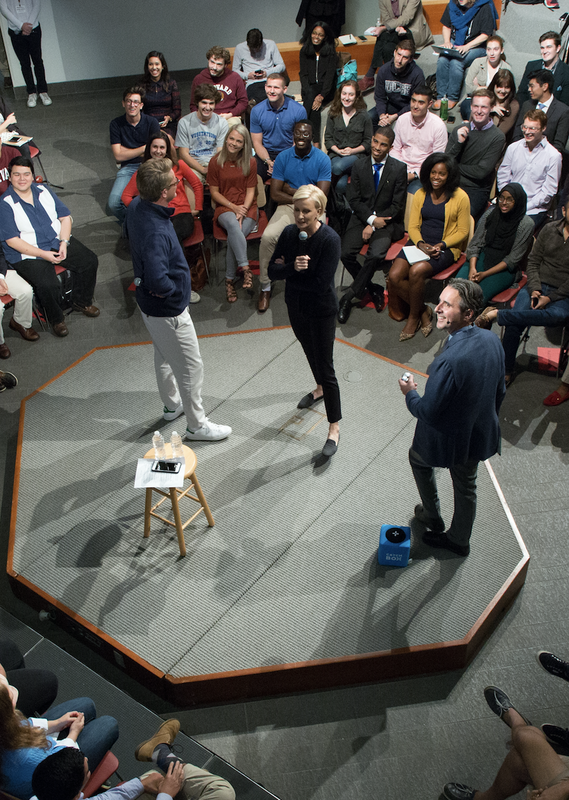 Most every project takes us deep into America's communities where we host town meetings, moderate focus groups, watch and listen as Americans share their very personal stories and perspectives on their lives, our nation and future. These qualitative exercises are often followed by rigorous social media analytics, online, or offline polling with samples large enough to provide detailed segmentation of important cohorts valuable for strategic positioning, messaging and media targeting. said Sir Richard Branson ... and a good story rooted in data, truth and humanity is what we deliver for clients who often seek thought leadership opportunities. With a proven track record of providing honest takes on how Americans, and especially how members of the Millennial and post-Millennial generations view politics, policy and their future, the team at SocialSphere are trusted partners to organizations seeking to extend the value of our insights and make an impact beyond the conference room and into family rooms across America. Below are some examples of how our team, data and insights have been used to inform and shape the public narrative. Many more examples here. 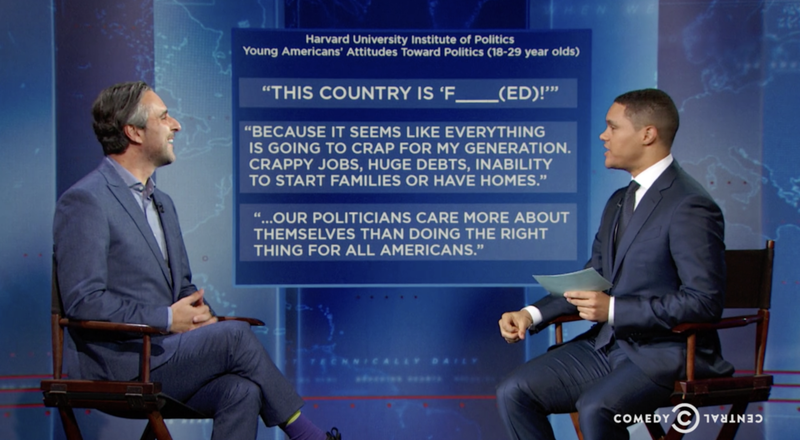 In 2016, before the election, John Della Volpe appears on The Daily Show with Trevor Noah, highlighting for the first time that young Americans express more fear than hope about America's future. David Miliband, head of the International Rescue Committee, used SocialSphere polling and insights to raise awareness of a growing humanitarian crisis. "Millennials recognised the severity of the crisis and are ready to take on the responsibility of a global community,"
SocialSphere worked closely with the team at Cosmopolitan.com to uncover insights into how young women viewed the issues and candidates in 2016 election. 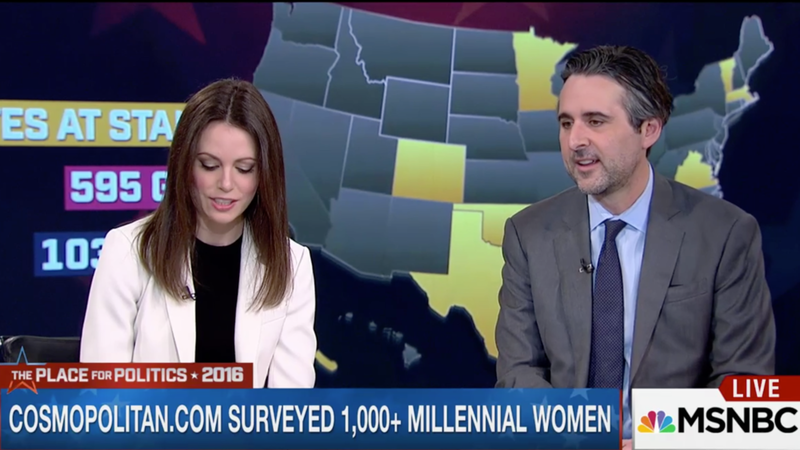 In this Morning Joe segment, editor Amy Odell, discusses how young women prefer Bernie Sanders to Hillary Clinton. John Della Volpe appears on Comedy Central's The Opposition with Jordan Klepper, to discuss his recent Harvard Kennedy School IOP poll of young Americans and the finding that while they prefer a Democratic Congress, only one-third indicated that the party cares about people like them.